“Hello….My name is Nigel Palmer in real life as well as in Second Life. I came to Second Life to share my love of music with you. From a young age my life was engulfed by music. My father was a musician, who would play at home, talked passionately about music and whose life revolved, to a great extent, around music. At the age of seven, my dad bought me a small Casio tone keyboard and encouraged me to play along with him, till one day he found out that I could more or less accompany him. Music attracted me so much that I would miss out on playing games on the patio with other boys. I even took part in some of the jingles my father composed for television and radio. At the age of 11 I took piano lessons where I spent three years. I particularly enjoyed the smell of the piano’s wooden exterior and the sensations of touching its ivory notes. It was at these lessons that I learned the basics of the piano. At Bayside School I encountered my first big problem when the music teacher there told my father that I had no musical talent. I was extremely lucky that a year or so later the teacher moved to a new school, and Mr. Chiappe became his new music teacher. Things changed dramatically and soon my teacher called up my dad to say that I was a very keen student who had a good ear for music!! One of my proudest moments was that one of my compositions for the music GCSE was so liked by my tutors that they used it as an example for other years. I then formed part of various local groups but always had my ideas very clear in my head and had trouble in compromising them. It was also at this age that I realized that ballads attracted me more than rock music, although I admit being influenced by many international artists such as Sting, Stevie Wonder, Gino Vanelli, The Rippingtons and ColdPlay. I have also participated in various U.S. song festivals achieving a very acceptable level of success. I got an important break when my brother from “Melon Diesel” Guy called me over to collaborate. Melon Diesel’s 2nd album was due out soon, so song arrangements and sounds had to be produced. I continued with participation in the 3rd album “Real” where I was called upon to go on the road with the group in order to be able to include all the additional sounds that played in the album. 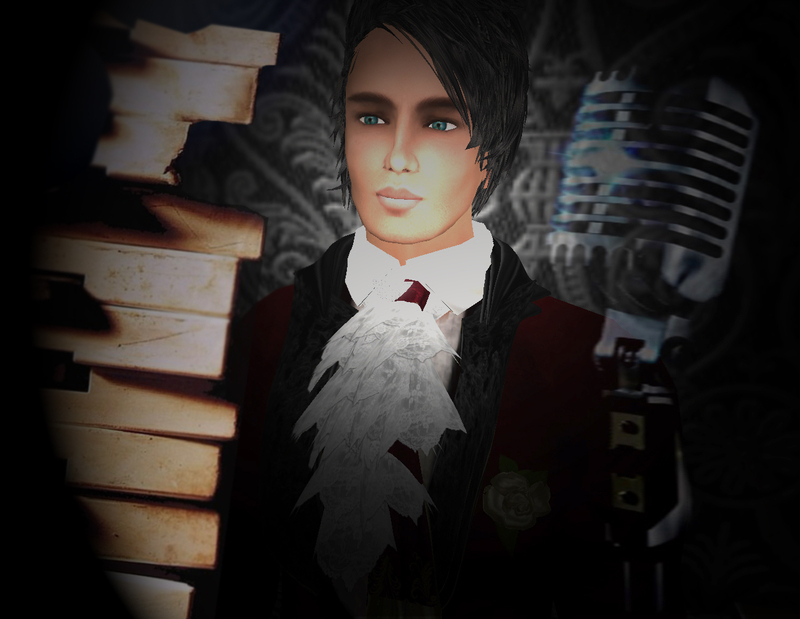 Now I am currently writing and performing my own songs in RL and SL. Lately some of my work is in the hands of important professionals from whom I expect good returns. Currently my shows consist of many of my own original songs (in both English and Spanish) with a blend of cover songs. For some, I use backing tracks; but for many of them I accompany myself on my piano from my home here in Gibraltar. I also use a BLEND of backing tracks and my own piano for many songs. I am currently working on a new SL album to be released soon. This man is my FAVORITE live performer in SL. He sings with such emotion that I can’t help but get lost in his lyrics and his melodies. He is the diamond in the sea of gems we have in SL performing for us LIVE. This man is one of SL’s hidden treasures. Hear him once and you’ll be addicted to him. His voice, his lyrics and his melodies will capture you.